Last updated 31 August 2018 . By Georgia Evans. Backed by VIP members such as Cristiano Ronaldo, Rafael Nadal and Enrique Iglesias, Zela is an international taste sensation with a new location in London. The Ibiza-based creators of the Meppon cuisine, a fusion of traditional Japanese technique and Mediterranean products, head to the capital to share their unique dining experience. Guests can indulge in fresh seafood, with invigorating cocktails and live performances. 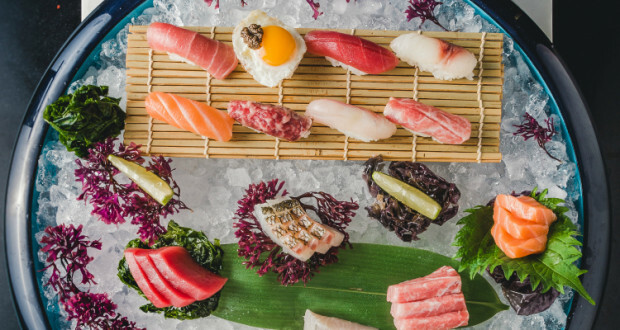 Dishes include nigiris of butter fish with white truffle, a starry tuna tartar, oxtail gyozas, and scallops with Ibicencan Sobrasada, as well as rice chips with cured wagyu, burrata and nori, showcasing the blend of Mediterranean with Japan. To refresh thirsty diners, the bar offers cocktails inspired by the fusion menu, infusing ingredients from both regions, such as the famed Coco Chanel with a modern Japanese twist, the Santa Maria with sherry wine, homemade spice mix, tomato and basil, and the Harakiki, made up of sake, lime, egg white and shiso syrup.